Using D-Tools, project engineers, plant managers and others can now design a SmartFlex Pallet System conveyor to fit their exact application in a matter of minutes. SmartFlex Pallet Systems is a product line extension of Dorner’s SmartFlex, Flexible Chain Conveyor platform. Pallet Systems provide accurate positioning and routing of parts for manual and automated assembly processes, robotic integration and inspection applications. 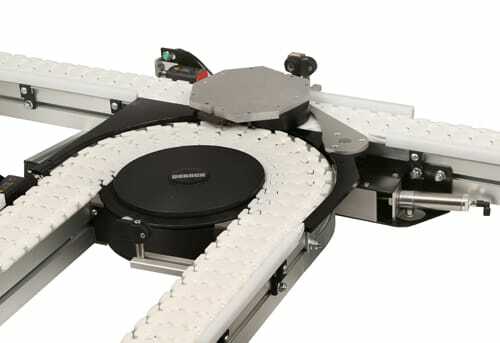 The components, sold as completed assemblies or as kits, allow users to implement easy design changes to their conveyor systems, and offer versatile layout flexibility. Pallet System components include merge and divert kits, a lift and locate station and pallet stops.